How did you come to form your dynamic creative partnership and what were your respective career backgrounds leading up to this point? Jackson: Over ten years ago, Graham sat down next to me one day at this online gambling start up we both found our way to. From then until now, we’re still sitting side by side. I’d spent a couple of years in the film business and joined the company as its only copywriter. We started making banners and landing pages together, and about eight weeks in, we made a 4-page spread and 12-page insert in Esquire magazine together. The rest, as they say, is history. Graham: I was working for an action sports company creating motion graphics and marketing materials. For our first big project together, we started showing up at 7am – that just felt like an instant connection and match – we were both aligned on hustling and being hungry, and we instantly figured out that getting in those quiet hours, we would always be in the right place, and right time for juicy assignments. Walk us through the Pound & Grain story, highlighting the agency’s guiding creative philosophy. Graham: We left the gambling start up and ended up at another agency – one of Canada’s largest in the interactive division. We met a production manager, Tara, and she got us from working with the start up to working on brands like McDonalds, SAP and Tourism British Columbia. Once there, the three of us figured we could start our own company. Like anyone else in this business, you imagine you can build a better mousetrap. Jackson: Three years later, Graham and I gave our notice, rented a small room, bought two $50 Ikea desks and two chairs and moved in. The first three hours of putting together desks and chairs were terrifying. Had we made a huge mistake? But by the afternoon, we’d secured a website project, and a few other campaign briefs from previous contacts. From the beginning, our gut instincts told us that working hard, hustling and offering solutions – that were more about results and not about awards – would make the phone ring. 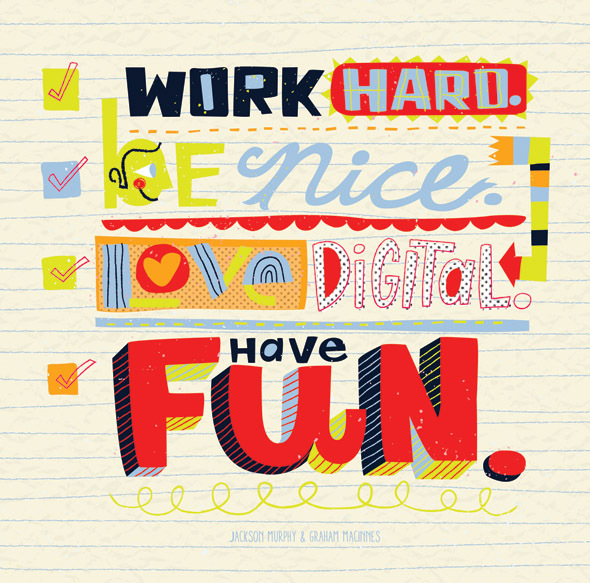 We turned these into our five rules (displayed proudly on our wall): Work Hard, Be Nice, Love Digital, Think Big, Have Fun. Graham: At the end of the day, we strive to bake utility into our projects and provide value for our clients and create experiences their customers love. Tell us about 3 recent great digital solutions Pound & Grain has helped design for brands and businesses. 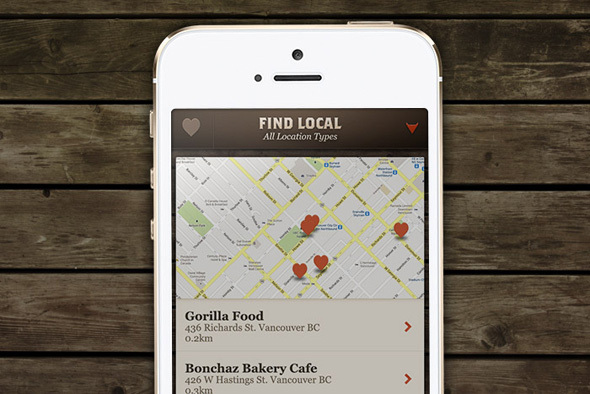 We recently launched an iOS app for the BC Dairy Association and British Columbia Agriculture Council to capitalize on the growing local movement so users could find local food and products, discover what’s in season and get recipes to put it all together. 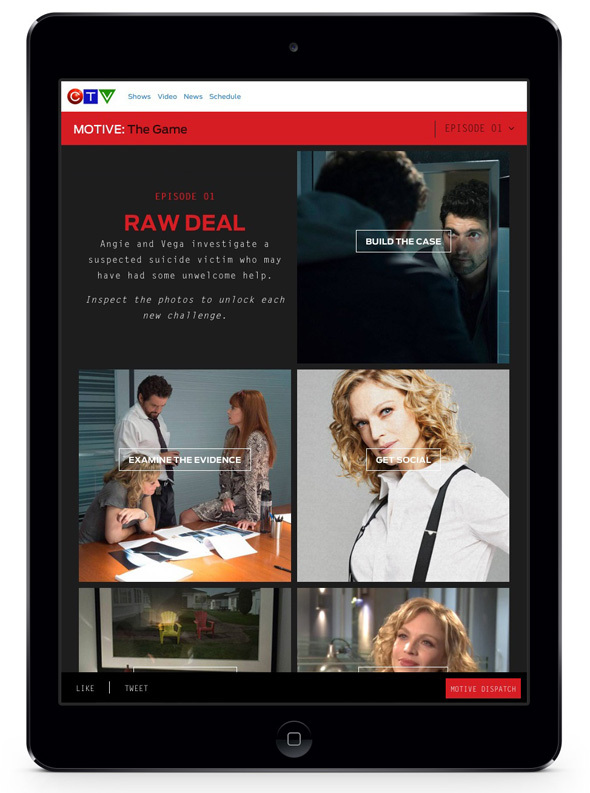 For the second Season of CTV’s Motive, we created a weekly fan game – allowing fans to solve their own case by answering trivia, exploring the crime scene, and meeting the writers and cast. 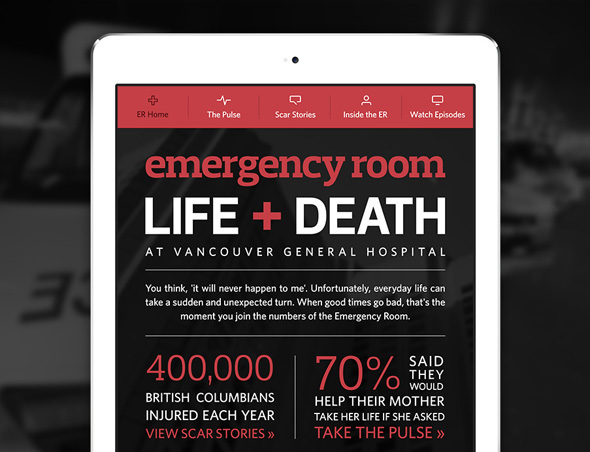 Emergency Room was a six part documentary series on Knowledge Network about life in Vancouver’s largest emergency room. The website we created features the ability to share a patient’s “scar stories” of trips to the ER, and weigh in on some of the biggest issues facing our healthcare system today. When it comes to the type of work you really enjoy, where do your true passions lie? Graham: My passion lies in bringing app experiences to life. There is something so satisfying in creating an app that helps solve a problem for people, or can provide some serious value or entertainment. That motivates me to get me out of bed every morning. Jackson: As a writer, the type of work that gets me really excited involves content. 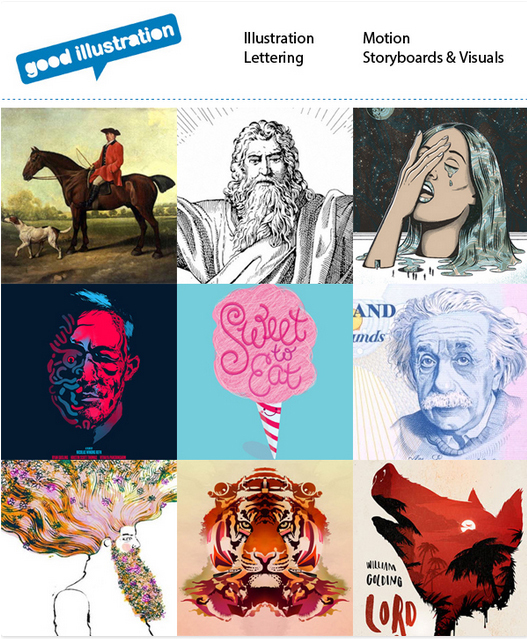 The ability to create exciting stories that work on apps, social, mobile and tablet, and even across all those platforms – that you can seamlessly weave interactivity, video, and story together – is absolutely, amazingly, insane. What are some of the most exciting trends happening in today’s digital marketing space? Jackson: The trend that we’re getting to tackle every day is how to tell stories in social and in smaller windows. Whether it is micro-videos on Instagram or how to deal with Facebook’s complex newsfeed algorithm, it still is about the story. Graham: The industry landscape seems to shift at a moments’ notice under our feet. New technologies are emerging and figuring out how we can utilize them in a meaningful way is one of the most exciting parts of our jobs. Technology, such as iBeacon, and how we can use it to add value to the consumer experience (as opposed to using it) is another way to deliver a sales message to people. What’s the grandest scale project you’ve ever worked on? Graham: In the past we’ve had three key big projects that I always think about. When we were working at the start up gambling company there was a year where we went from making banner ads to multiple TV spots, to rebuilding the brand and doing it all. Jackson: Being in Vancouver, we also worked on two large projects supporting the 2010 Olympic Games – the first was an interactive website collecting the stories of Canadians leading up to the games called CanadaCODE. The second was on the campaign for the province of British Columbia, “You Gotta Be Here” which was a massive campaign introducing us to the world in TV spots, web videos, banners and an interactive campaign site. What relationship advice would you offer young creative duos? Graham: We have a strong bond that overcomes any ego and sensitivity. Challenging each other and “pulling no punches” is the only way to have a lifelong creative partnership and we’d give that advice to young creative duos as well. Jackson: If I had a nickel for every time Graham didn’t like my idea I’d be a very rich man. But without a raw reaction from each other, we wouldn’t create solutions that clients need. Describe your most challenging project. 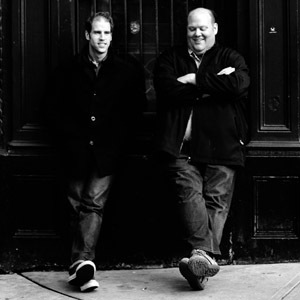 Jackson: In the past year we got to work closely with Lululemon founder Chip Wilson building websites, creating events and telling stories about his passion for bringing 60-second meditation to the world. Graham: Since it’s about a brand and essentially about Chip’s thoughts, it was hard to wrap our heads around and challenging to market. It’s been a fun and demanding assignment. Graham: We define success as being able to help our clients grow their businesses, solve business challenges and making users happy. Jackson: That’s how repeat business and agencies are built – from heavy lifting, hardworking, creative solutions that build brands. At the end of our careers we want to look back on our work and remember all the great solutions we provided for the brands and businesses we worked with. Who have been some of the most significant mentors throughout your respective careers? Graham: The first big influence on my career in particular, was an Art Director we were lucky to work with, Dougal Muir, who really brought out the best in us. He was, and still is, an opinionated, dogmatic, proper Englishman with a penchant for salty language and a passion for typography. He drove us crazy ensuring the tiniest details were perfect and his passion, and complete fearlessness with clients, is still inspiring. 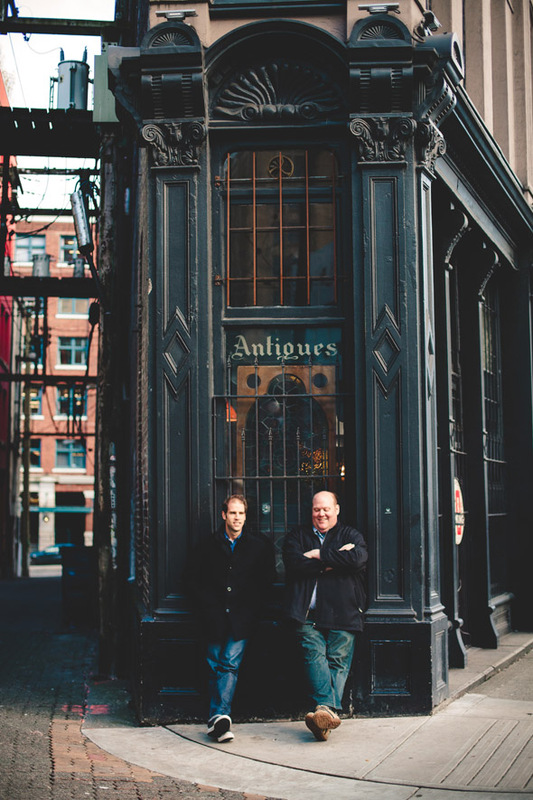 Jackson: Our transformational mentor in this business is Richard Hadden, the Executive Creative Director at Cossette/Dare, the agencies we’ve worked for. We liked his approach to life and we did whatever it took to work on projects with him. This included timing our visits to his floor of the building just to get that extra edge. For us, that nugget of wisdom during challenging situations from someone who has seen and done it all is invaluable. Graham: The stories from his career, and his drive for the business, was like warming yourself at a campfire. We get together for lunch every few months and chat business, politics and creativity. We are forever grateful for all the time he gave us over the years. This entry was posted in Advertising on June 17, 2014 by Creative Interviews.